Participants wear velcro suits, jump and try to stick to wall. Actual Size 12 FT. 17 FT * 13FT. 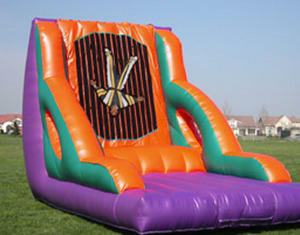 It is highly recommended that children of differing ages and sizes play and bounce separately.